It happens frequently to foreigners looking to rent a house: while showing them the files of the apartments available, the realtor will put some aside; the foreigner, noticing that the price of these homes is lower will wonder loudly why this is so, suspicious of financial motives. The realtor will reply something along the lines of “Those are not suitable for you –they are “wasitsu” (和室) i.e. ‘Japanese style’” and if they see the look of puzzlement in the foreigner’s eye, they will explain that the rooms in these houses have the sliding wooden and paper blinds “souji” (障子), their storage closets are the deep “osi-ire” (押入れ) also with sliding doors, they are separated by the, yet again, sliding “fusuma” (襖) doors and they are laid with the thin straw mats called “tatami” (畳). 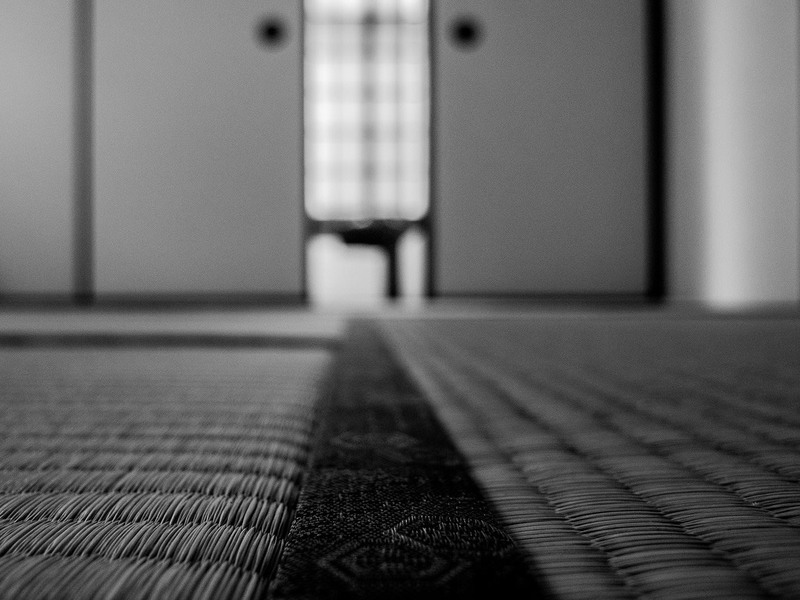 Among all the above, the tatami are those that will baffle (and discomfort) the most those who have grown up in a culture where flooring is wooden or tiled. For their many advantages (they are healthier because they are organic, made from the straw of the common rush or “igusa”/藺草, humidity resistant, soft and elastic enough to allow sleeping on them using just a futon/布団 mattress and wonderful to walk on barefoot –in Japanese homes, and not just the ones with tatami, shoes are taken off before entering the house proper) are countered by their equally numerous disadvantages: they are delicate and the cost to replace them is rather high since they are still handmade by specialized craftsmen, they get dirty very easy, they can’t be mopped and on them only specialized (and comparably more expensive) furniture can be used. Therefore it’s no wonder that even the Japanese gradually turn to the Western-style “yousitsu” (洋室), turning their back to a history that started in the 8th century, when Tokyo was still fields and swamps and the citadels of civilization where Nara and Kyoto: aristocrats there used them as distinguished seating spots in their halls, devising a special geomancy for their placement (“T” shaped for the auspicious “shugijiki”/祝儀敷き and parallel for the funereal “fushugijiki”/ 不祝儀敷き) and a special etiquette for their use –the “tatami-beri”/ 畳縁 fabric lining their edge must not be stepped on. And even though with time they became popular enough to become a surface measure (one tatami is about 21.5 sq ft) and to find their way even in the big cities’ apartments, there are plenty of signs that this century might be their final as they gradually turn into a peculiarity reserved for “traditional style” restaurants and inns and tea ceremony rooms.